Another restaurant rich with history, established in 1966, they are in fact one of the oldest Indian restaurants around. Situated in the back streets of Oxford Circus, their front door is plastered with recommended timeout, squaremeal and tripadvisor stickers to illustrate that their name is worthy of recognition. This restaurant is in fact the sister restaurant of Gaylord in Mumbai, India. A selection of dips to start of with. These were served once you’re seated, a charge of £1.50 is added onto your bill. 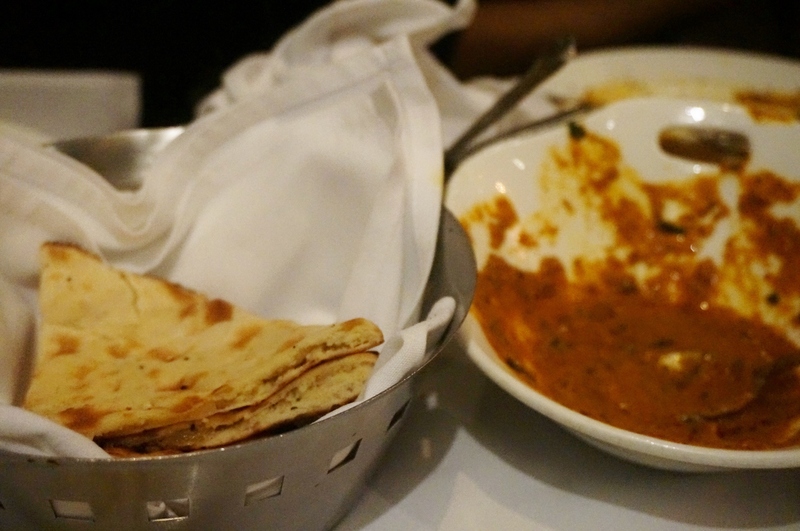 We first ordered, peshawari naan, leavened bread stuffed with nuts and raisin, and the original naan, to go with the mains. 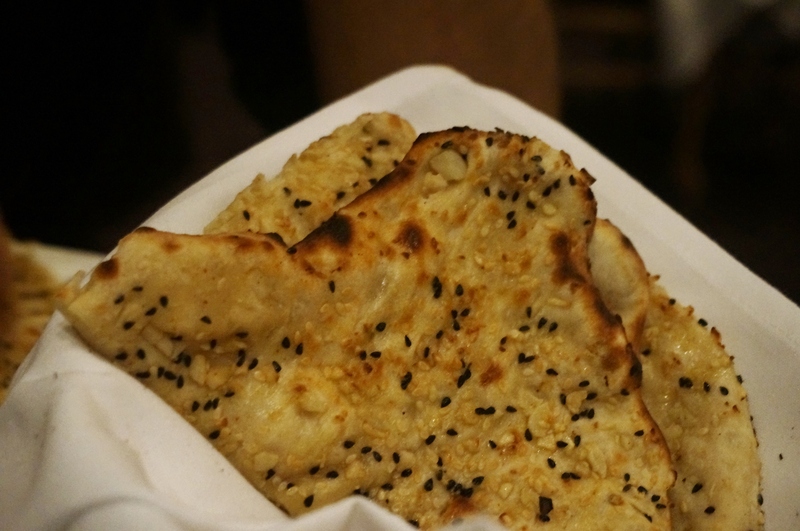 I don’t really know much about Indian cuisine, but I thought the peshawari naan could have been sweeter, and tasted slightly bland. Out of the few occasions I’ve had Indian, I tend to think they overcook Saag Aloo with too much oil, especially at Tayyabs, White Chapel. Saag Aloo here was made just right, didn’t drink spoonfuls of oil. Service: Absolutely awful. Whilst they were busy serving all other customers we were left ignored repeatedly after even requesting simple things such as more water, or beer. It took 2-3 times requesting, and 10-15 more minutes waiting, each time we wanted their attention. Poor service.